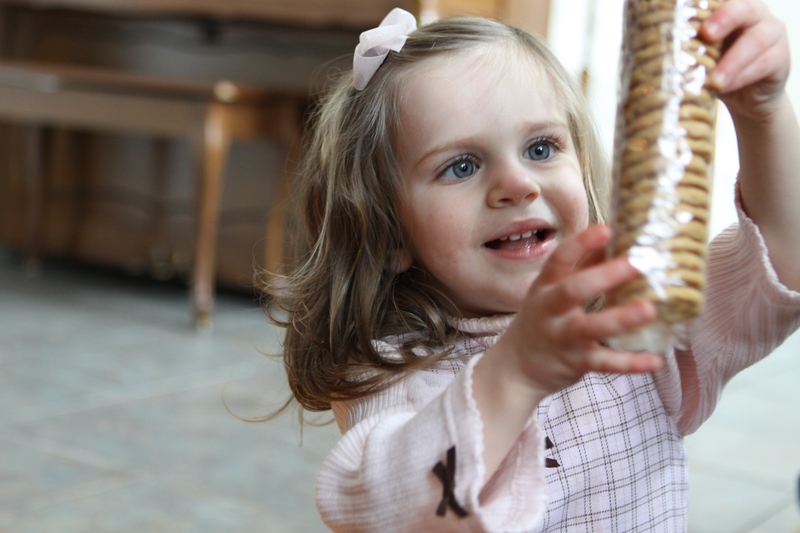 People complain about fewer cookies, different taste, not like they used to be....NO complaints from Maura, two. She bit the cellophane after this shot to get a cookie out! It’s Girl Scout Cookie season. A wonderful student gave me a little present today. I can’t tell you how it touched me. 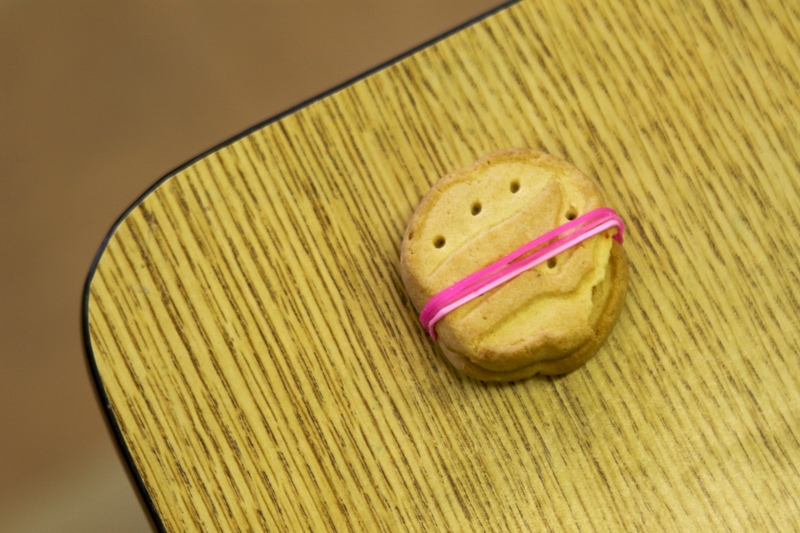 Two Trefoil Girl Scout Cookies, held together by pink Silly Bandz. One cookie looks like there might be a little bite out of it. As you all know I am trying to watch what I eat ( forget the burger, pizza and milkshake posts) I am back on track. So I didn’t eat them. But I held them in my hand a long time and thought about the heartfelt gift. When I took it across the hall to Ms. P’s room to show her, she was touched by the sight of the two little cookies bound together by the Silly Bandz. We both said “awwwww. sweet.” Good to have nice neighbors at school to share these moments –thanks to everyone for looking today! Happy to turn off the alarm for Saturday. but sweet moments come to mind. bring a little offering to the art room. p.s. If you get a minute, go and vote on my Keep or Pitch blog post to help me downsize.